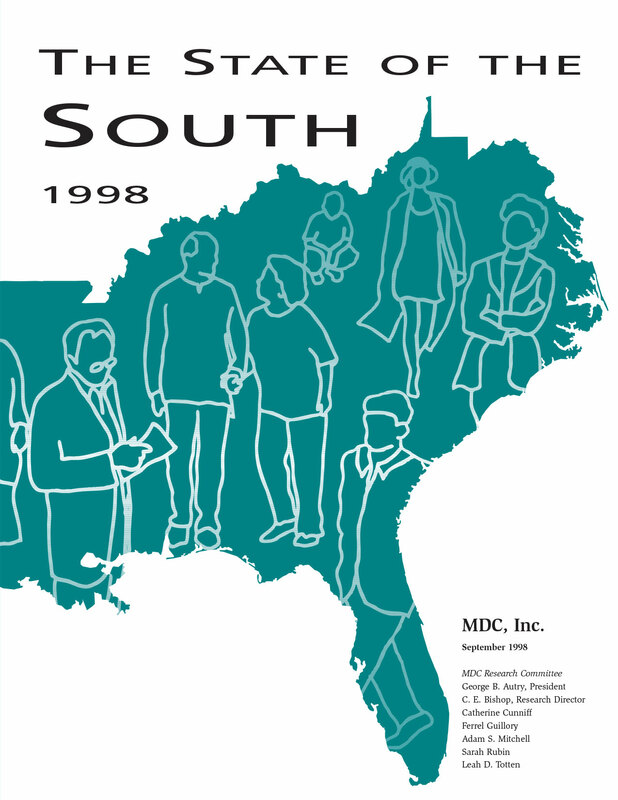 The State of the South is MDC’s flagship publication, published since 1996. It became the mission of MDC, through The State of the South, to paint a clear portrait of the region and spell out critical recommendations for economic and social advancement. In 1996, the first State of the South assembled data on jobs, income, poverty, and education. Its major finding—now an article of faith across the nation—was that education beyond high school is essential to sustaining a middle-class standard of living in the modern economy. In 1998, The State of the South looked particularly at the region’s shifting demography—and earlier than most influential voices, pointed to the immigration of Spanish-speaking people as an opportunity and a challenge for the region. 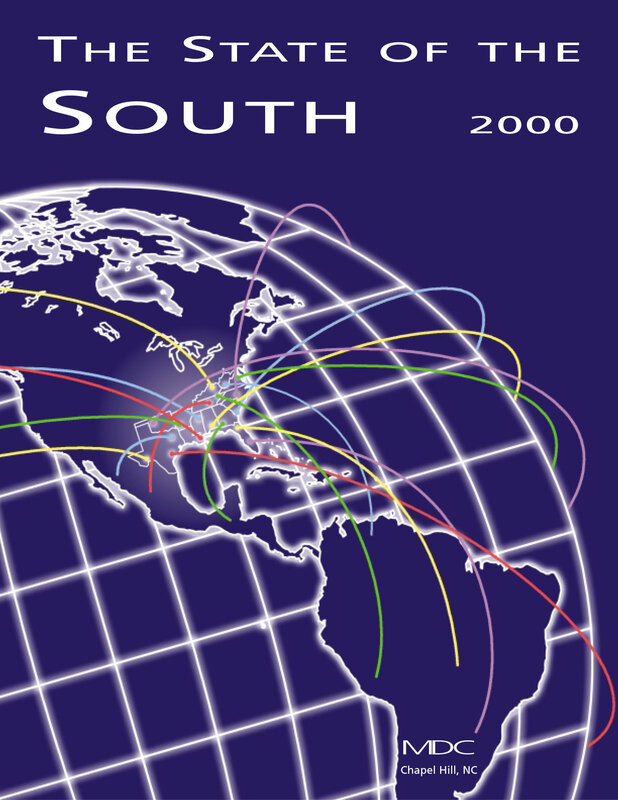 In 2000, MDC explored the impact of globalization on the American South. The State of the South featured state-by-state analyses of foreign investment and measured the relative robustness of states’ job growth. It pointed out that new technologies were changing the nature of the economy. In 2002, The State of the South updated one of the most influential reports in MDC’s history: Shadows in the Sunbelt, which in 1986 urged Southern states to address the needs of lagging rural communities and to shift from the “buffalo hunt’’ for outside industries to a broader, more effective approach to economic development. The 2002 report revisited urban-rural gaps and recommended that states modernize their tax systems, develop rural/urban collaborations, and deploy universities and community colleges as catalysts for economic advancement. 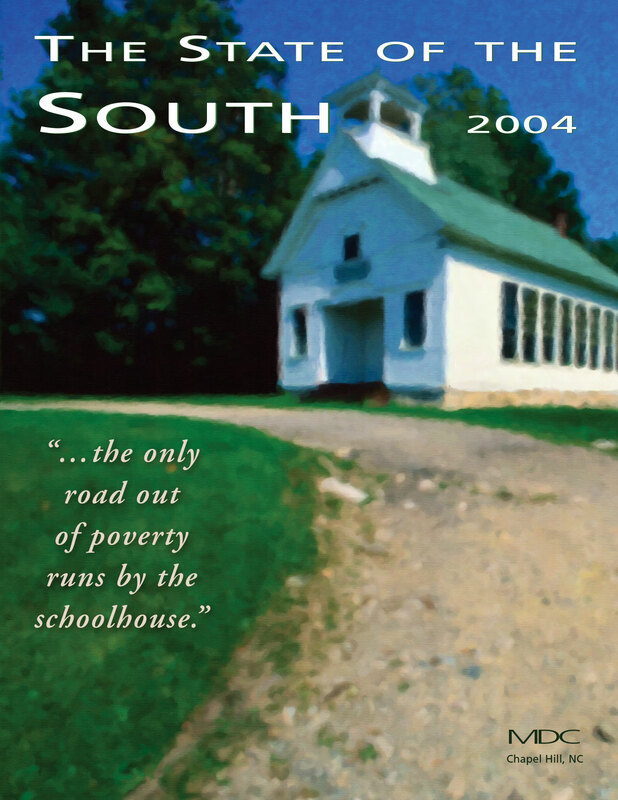 In 2004, The State of the South came on the 50th anniversary of Brown v. Board of Education. 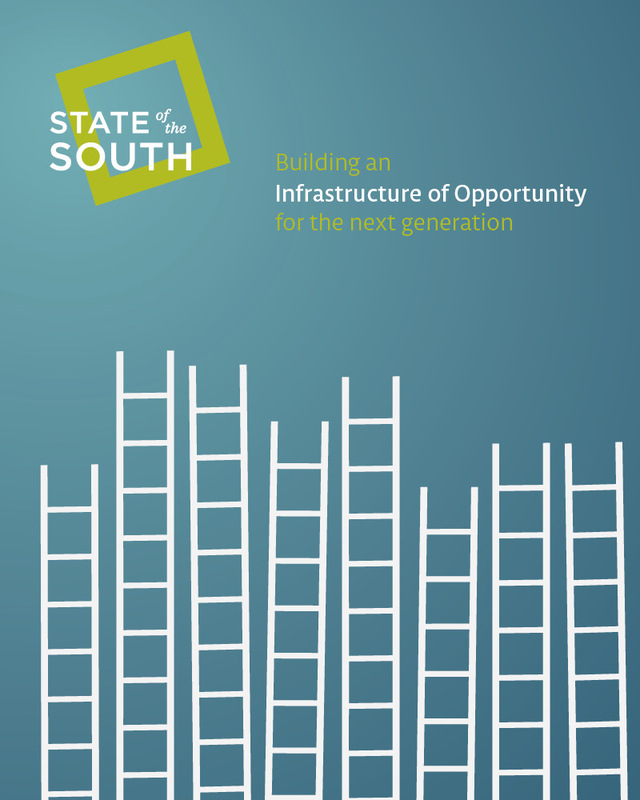 The report focused on education, specifically the South’s need to re-invent its high schools to propel more students into productive lives as both citizens in a democracy and participants in the economy. The report centered on the observation of former Mississippi Gov. William Winter, who served several years as MDC’s board chair, that “The line that separates the well-educated from the poorly educated in the harshest fault line of all…the only road out of poverty runs by the schoolhouse.” In 2007, The State of the South illuminated the South’s experience with and need for philanthropic investments. 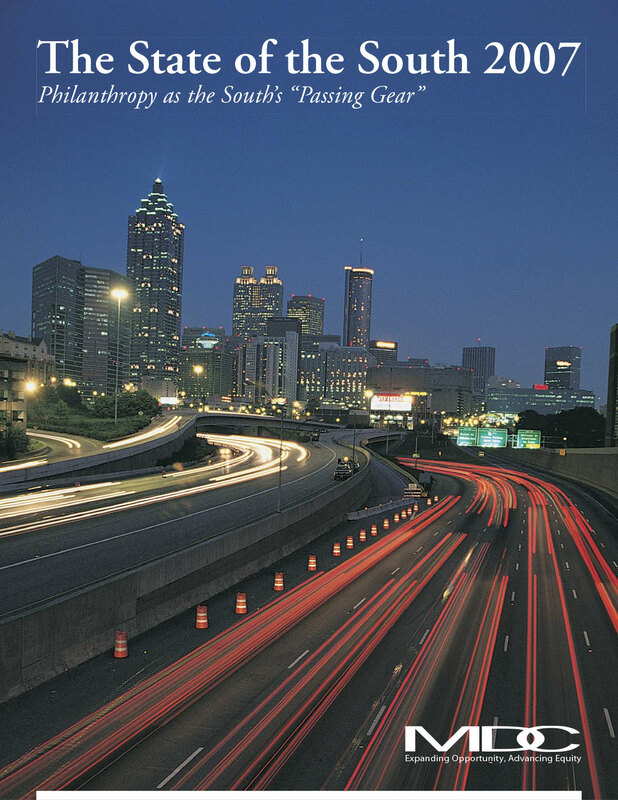 It described philanthropy as the “South’s passing gear.” It found that the South’s increase in wealth should lead to the region’s depending more on in-region philanthropy, and it called on foundations to become more strategic in their grant-making. The 2010-2011 edition of The State of the South, written in three chapters, examined how, after a “gilded age” that followed the dismantling of legal segregation and the brief rise of a broad middle class, two recessions in a decade exposed structural weaknesses that were never fully addressed. The report says the region must realign its educational systems; emphasis the importance of postsecondary credentials and their connection to economic wellbeing; and create new leadership and a renewed sense of connection among citizens. 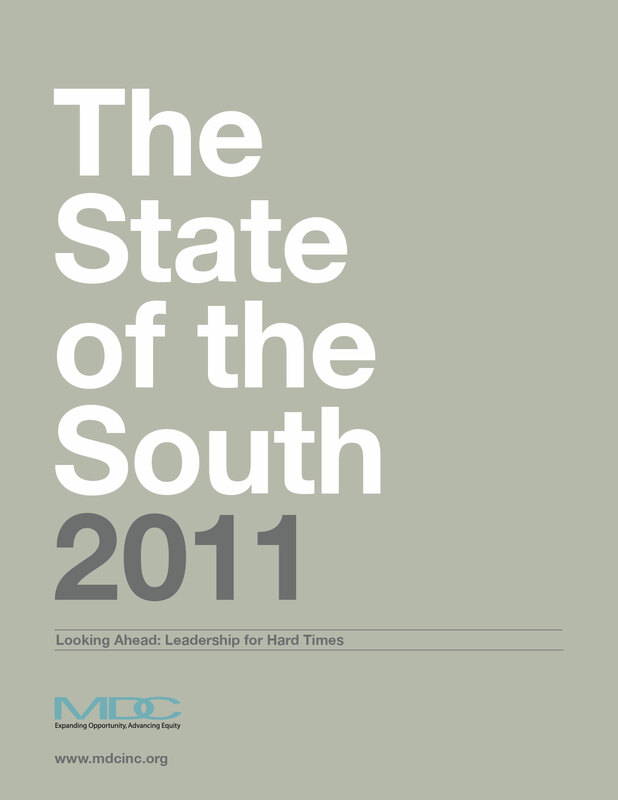 The concluding chapter of MDC’s The State of the South 2010 series finds that for the region to move forward, Southern leaders must focus on a “North Star” of long-term priorities for real recovery to take place. With 2011 shaping up as a year of reckoning and most Southern states facing budget shortfalls that threaten recent economic progress, the region’s leaders must focus on public policy and investments that remove the structural barriers that hold people back – such as transportation problems, inadequate schools, health and housing inequities, and a lack of internship opportunities. One key to the region’s long-term economic health will be improving the economic prospects for African-American and Latino young people. The second chapter of The State of the South 2010 series examines the South’s lagging educational attainment rates, particularly among African Americans and Latinos. Most Southern states lag not just the U.S. but many developed nations in college completion rates-just as national recognition is growing that improving the number of people who get a college certificate or degree is crucial to competing in the global economy. From 1980 until 2000, the South was on a trajectory to erase the poverty gap that perennially separated the region and the rest of the country. During this gilded age, the South led the country in population growth and job creation while developing a broader middle class than it had ever known. The poverty gap between the Southern states and the rest of the country diminished from 4 percent in 1980 to 1.4 percent in 1998, moving hundreds of thousands of people above the poverty line and giving them a chance at the American dream. But the two recessions of the last ten years created a “lost decade,” pushing too many Southerners back from fleeting middle class prosperity and wearing away the veneer of the gilded age to reveal an uncertain foundation. calls upon the region’s philanthropic organizations to think more creatively and act more boldly to help the South address its self-limiting inequities and spur its competitiveness in a global economy. While the South has advanced economically, it still faces wide gaps in family economic well-being, education, and health: the 2000 Census found that nearly one out of five Southern children lives in a household below the poverty level. The South needs more philanthropy and philanthropy that addresses the twin challenges of equity and competitiveness. MDC commissioned four experts to write papers regarding the challenge to philanthropy posed by lingering inequities in the South. Click the links below to read. See what Ambassador James Joseph, former U.S. ambassador to South Africa and chair of MDC’s board, has to say about philanthropy’s vision for the future in his speech titled, Philanthropy and Equity: Challenges and Opportunities for the American South. While several metropolitan areas have burgeoned and some rural communities have made a successful economic transition, economic shadows have darkened in many Southern rural and urban places that have no distinctive competitive advantages in today’s economy, according to a panel of distinguished Southerners convened by MDC. 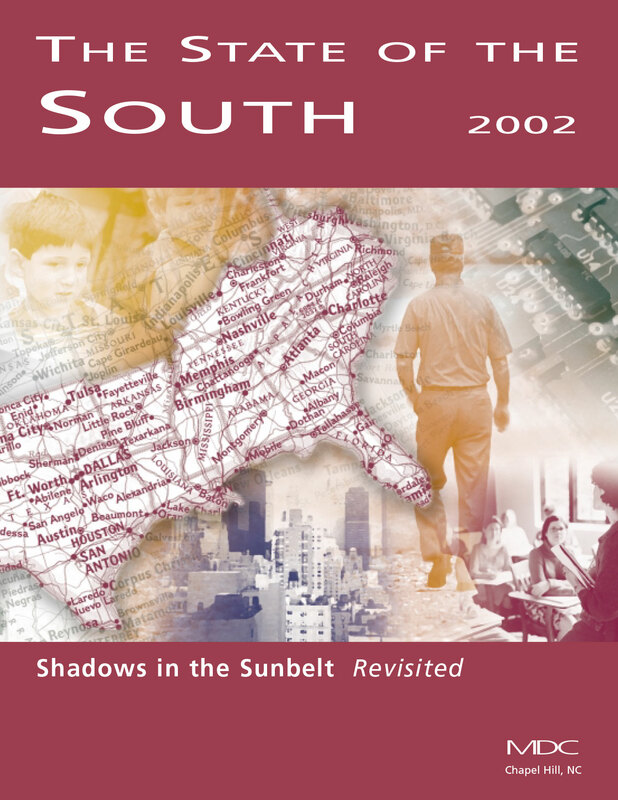 State of the South 2002, the fourth in the biennial series, revisits MDC’s groundbreaking 1986 report, Shadows in the Sunbelt, and offers recommendations to spread economic progress into the region’s shadows. Funded by the Ford Foundation. A regional-level analysis of the impact of globalization on the Southern economy, with an analysis of trends in business mix changes, trade, foreign direct investment, occupational mix changes, immigration, and workforce readiness. The third in MDC’s biennial series analyzing the Southern economy, the report Includes recommendations for the region’s decision-makers and was funded by the Appalachian Regional Commission, the Ford Foundation, the Z. Smith Reynolds Foundation, the U.S. Department of Labor, and the U.S. Department of Education. A regional-level analysis of 30-year trends in population, jobs, income, poverty, and education in the South, concentrating on how various segments of the region’s population are faring, with special attention to gender, ethnicity, and education levels. Includes recommendations for the region’s policymakers. Funded by the Ford Foundation, the Z. Smith Reynolds Foundation, the U.S. Department of Labor, and the Wachovia Foundation. 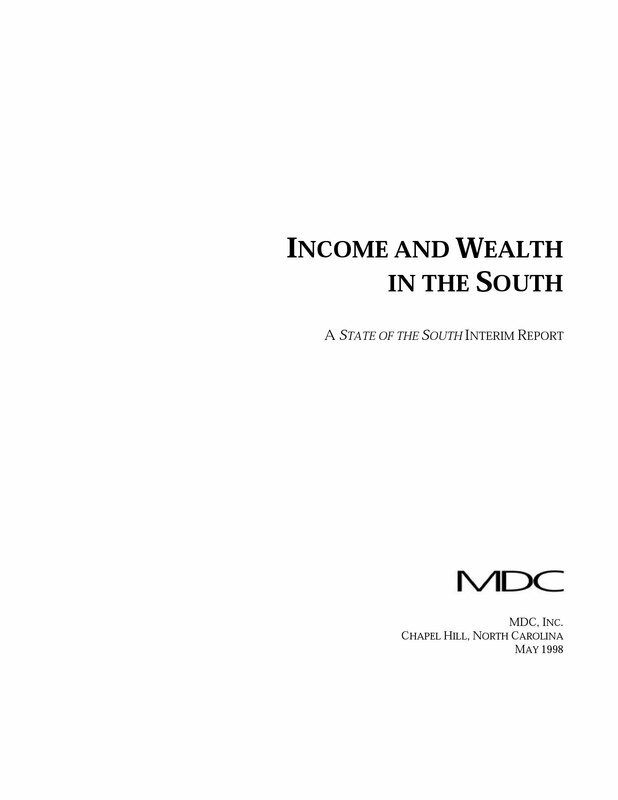 A 1998 State of the South Interim Report analyzing the distribution and concentration of income and wealth among Southern families by race/ethnicity and relative to the U.S. as a whole. A state-level analysis of 30-year trends in population, jobs, income, poverty, and education in the South, with projections to the year 2010 and recommendations for the region’s policymakers. Funded by BellSouth Corporation, the Ford Foundation, the Wachovia Foundation, and Z. Smith Reynolds Foundation.